Tutor: Dianna Walpole. 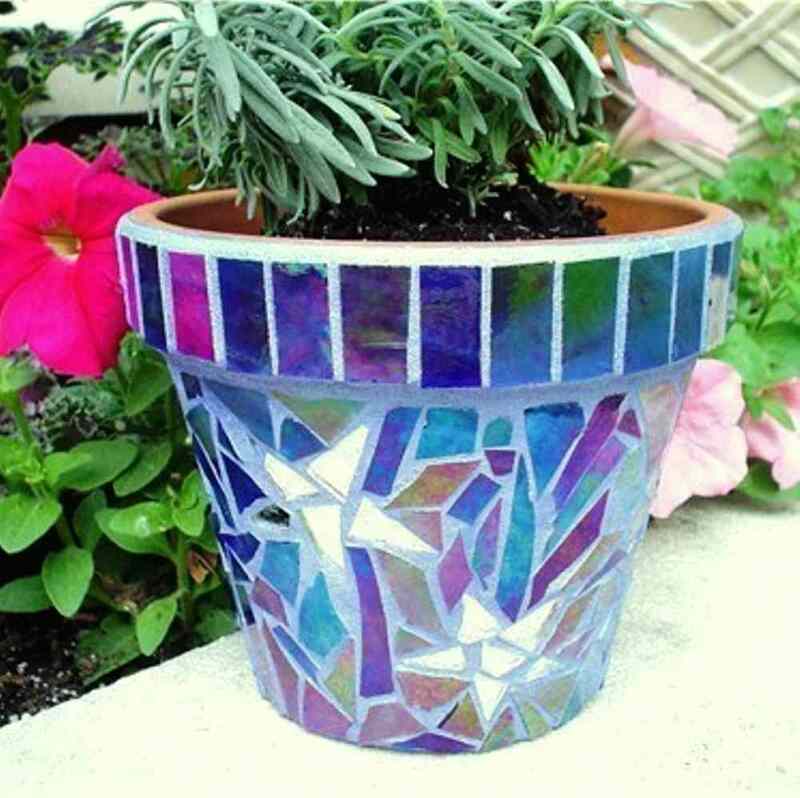 Create a mosaic for your garden, be it for your courtyard or backyard. It could be a pot, a paver or a plaque. 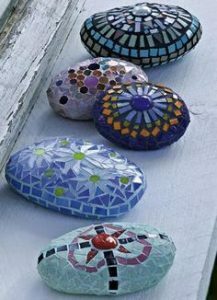 Using materials such as broken crockery, tiles, pebbles and old keys, create something individual and colourful, maybe with some sentimental value! 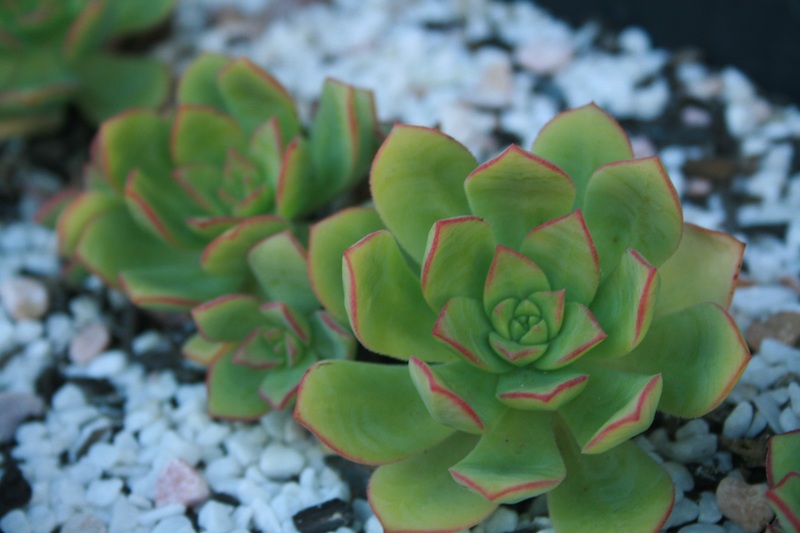 Bring along a terracotta pot or paver to work and if you have any broken or discarded china or tile to incorporate. Some materials supplied. ***Please complete the enrolment form to register to ensure your place in the class. For more information, contact enquiries@princeshill.com.au or call 9387 7740. 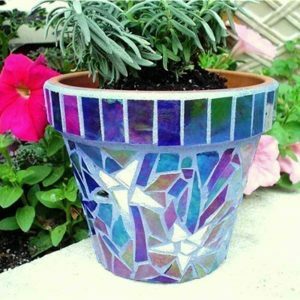 This workshop is an opportunity to learn the basics of Mosaic and let your imagination run wild. Please note that with only 4 hours, we will focus on a small project that you have a chance of finishing, unless you wish to take it home to complete. Using broken china and tiles, pebbles and other found objects, you can complete an original mosaic for your garden. 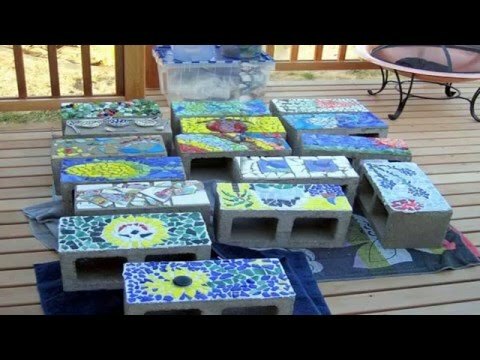 You could decorate a stepping stone, an old terracotta pot or make a panel for the wall, fence or a name plate. The process is simple – all you need is some broken china and tiles (it’s a great way to use chipped china). 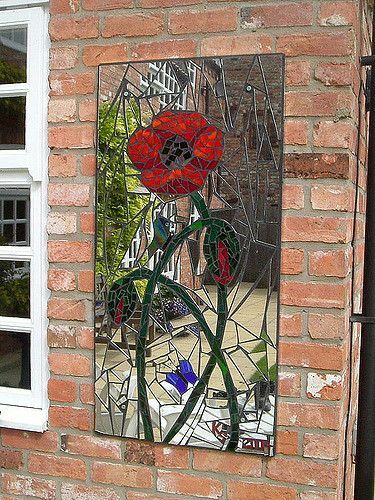 It is amazing how the grout will draw together a random selection of pieces. Bring if you have some old china and/or tiles you are happy to break, gloves and old rags. A flower pot, old or cracked is fine, but needs to washed and clean or a paving stone, or a large paving tile to mosaic onto. There will also be an assorted selection of pieces of cement sheet available to work on. Draw a design onto your base if you have a pattern in mind, or work spontaneously. If wall hanging, leave spots for holes for fixing to wall or fence. 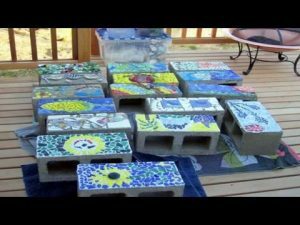 Place pieces (I suggest using larger pieces if it is your first time and you want to finish the project) and glue them on. Liquid Nails or mortar can be used. Remove excess adhesive. Allow to dry. Mix and apply grout rub gaps between pieces. Clean off excess grout before completely dry.